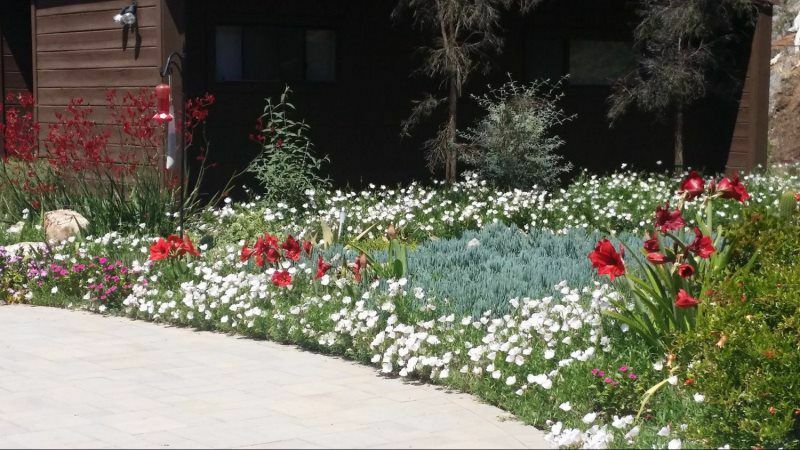 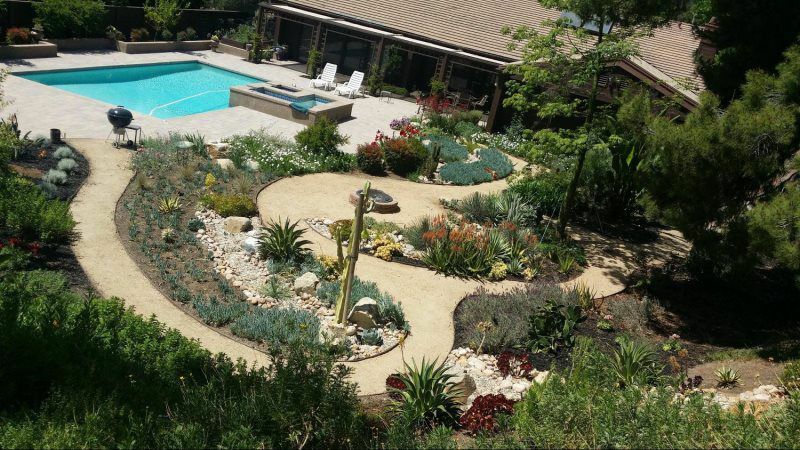 This garden replaced a huge lawn. 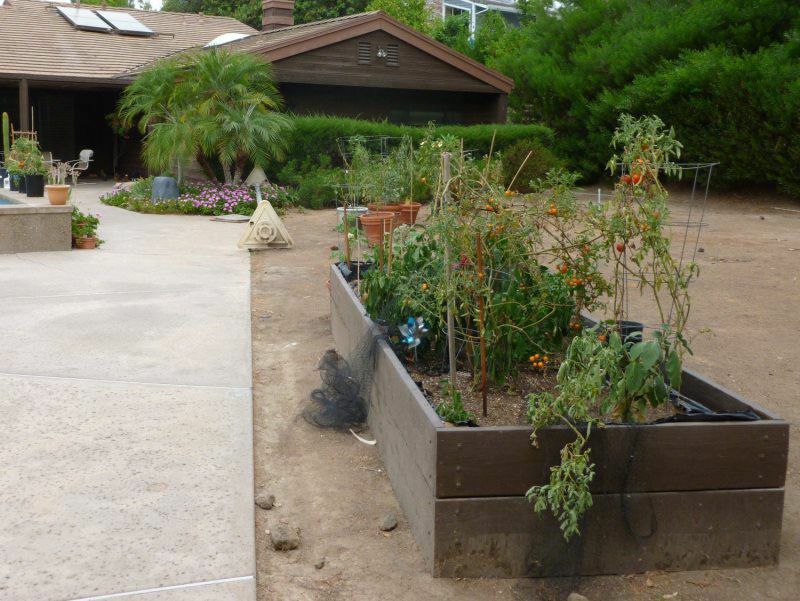 My clients had differing tastes. 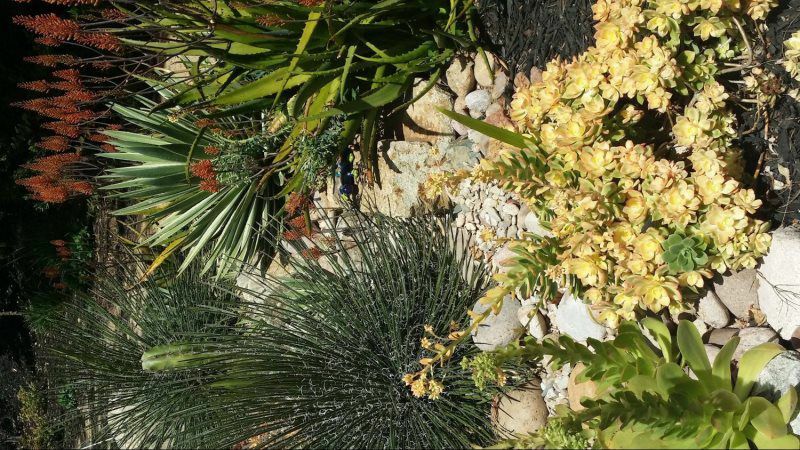 One wanted succulents and Cacti, the other a Mediterranean feel. 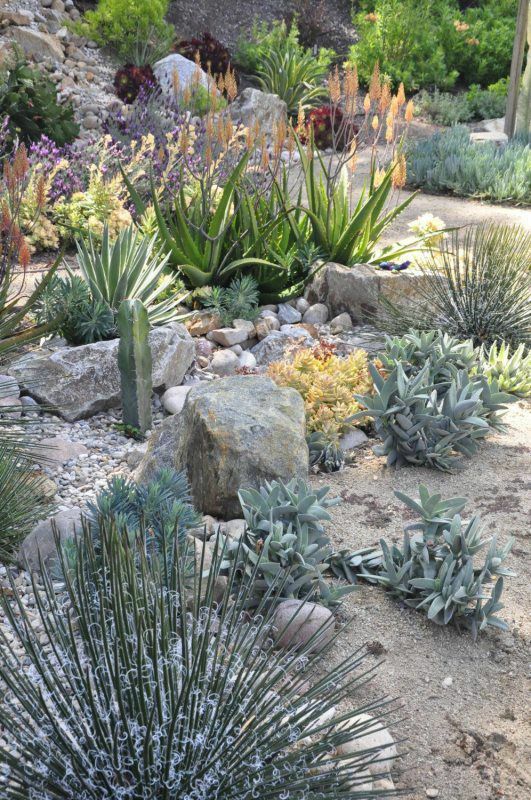 They agreed in wanting a dry waterfall (a Japanese landscape design concept) and dry stream. 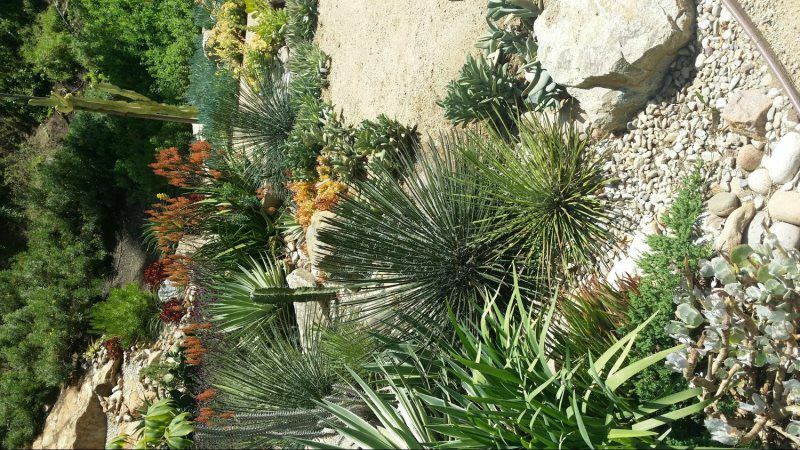 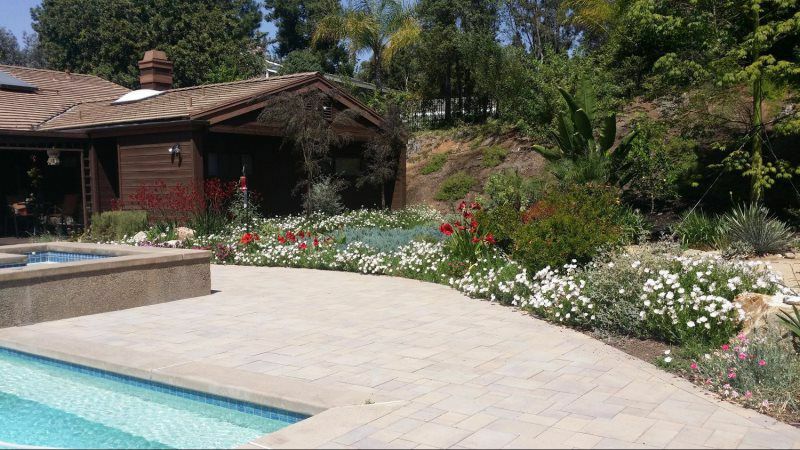 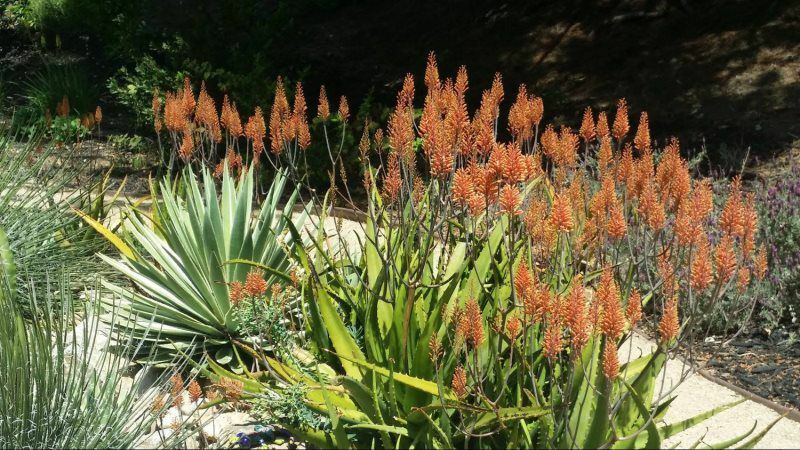 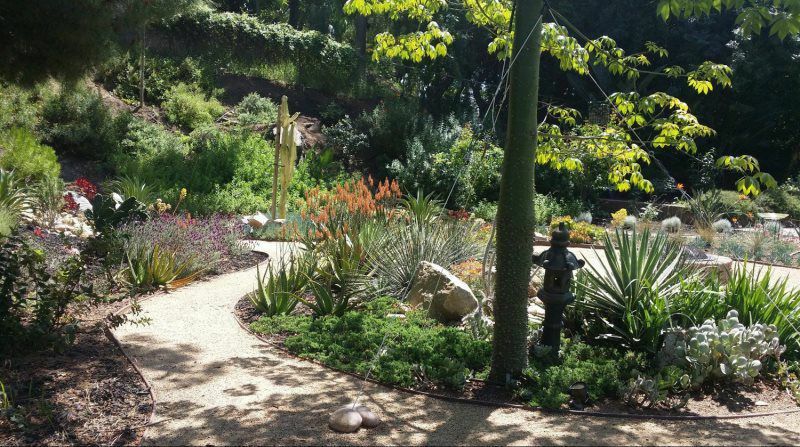 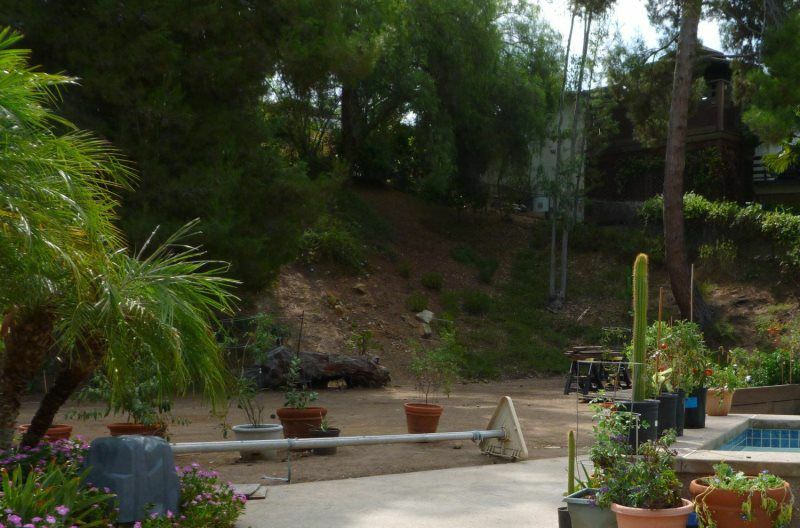 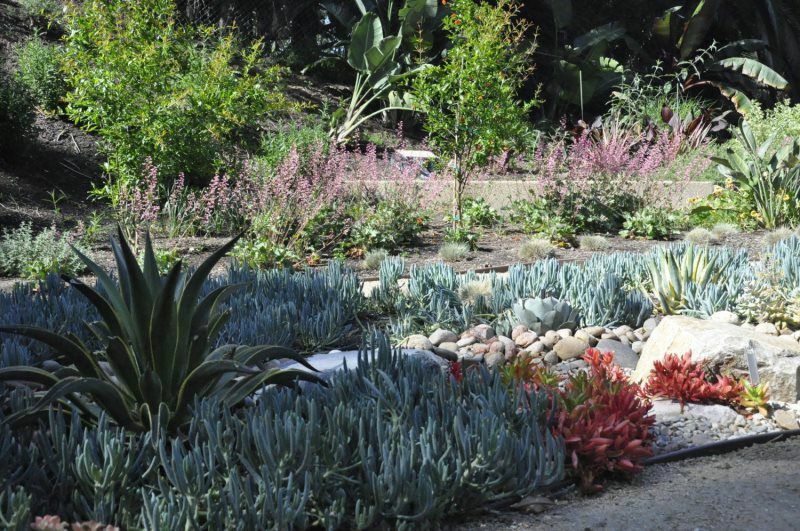 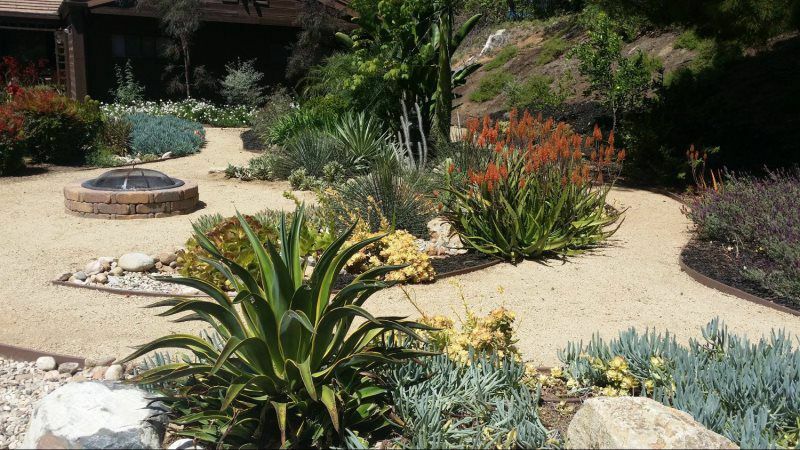 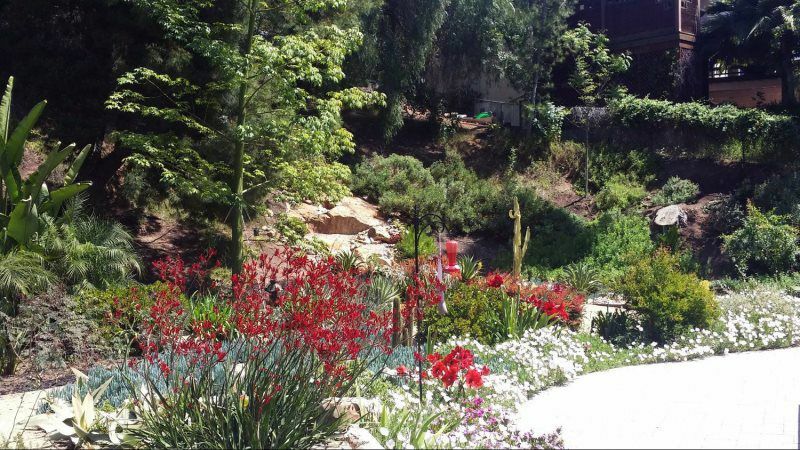 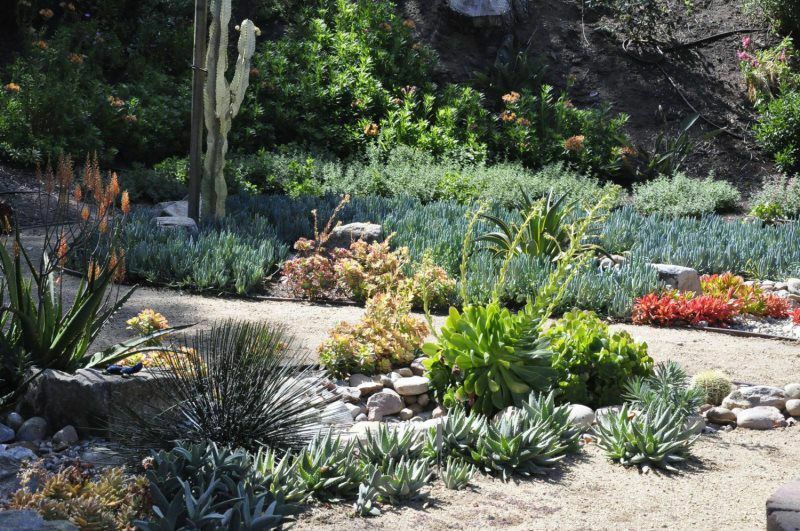 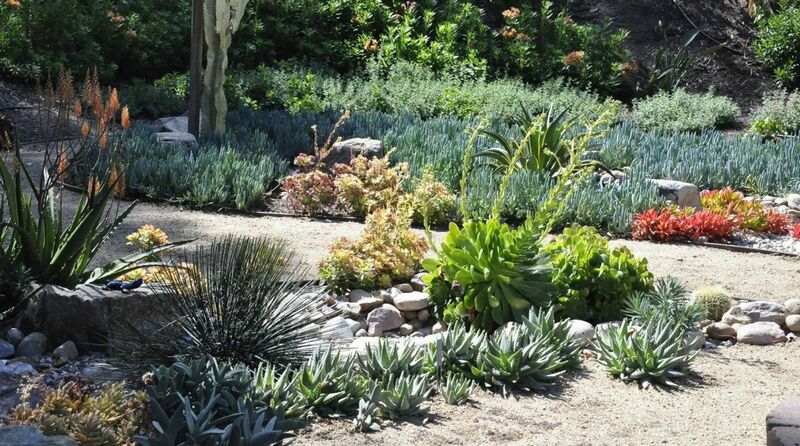 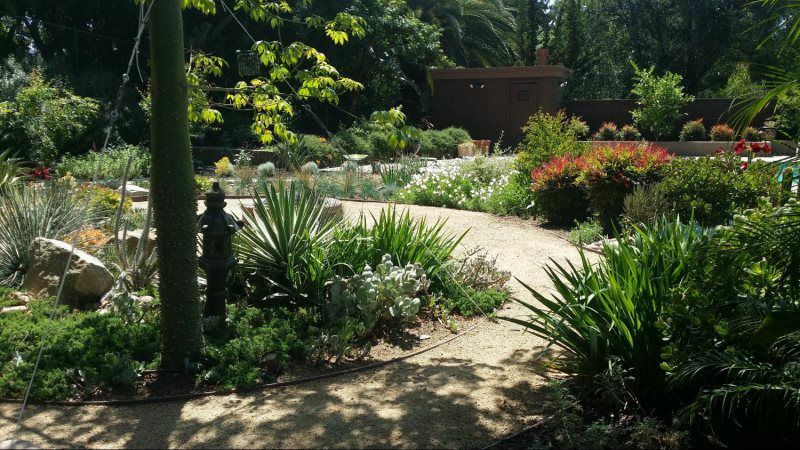 I integrated these styles by designating the dry stream as the location for the succulents while giving the surrounding areas a more Mediterranean feel. 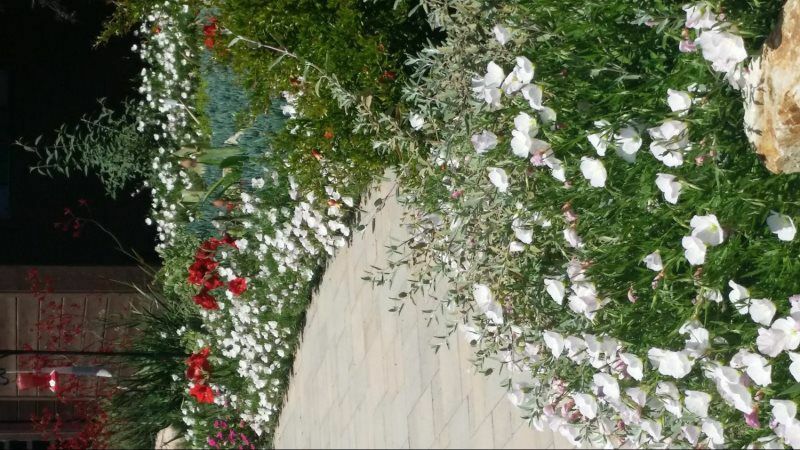 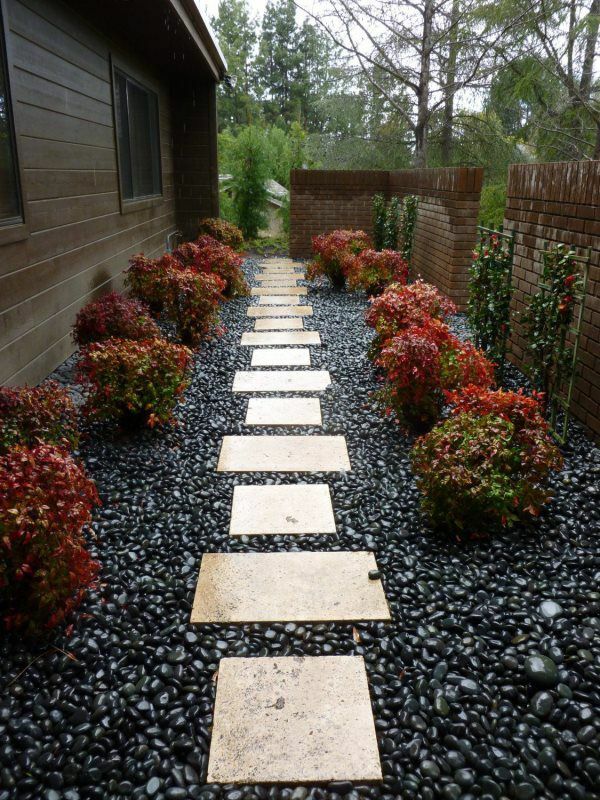 The winding paths of DG (decomposed granite) lend a crisp crunch to your step as you meander through the garden.